PIMEX Group, LLC is proud to present a new line of software products - ATP Video. This product line is geared towards providing a simple, powerful and integrated solution to people who want to work with both videos and photos. Good news for digital camera users! Did you try to record video clips on your digital camera? Did you try to play them on your computer or convert them to DVD? Was it an easy experience? We doubt it. Luckily, with ATP Video you don’t have to search for missing codecs, be limited to playing only one video clip at a time, make DVD with 50 links in the menu, or get frustrated by annoying gaps between video clips! 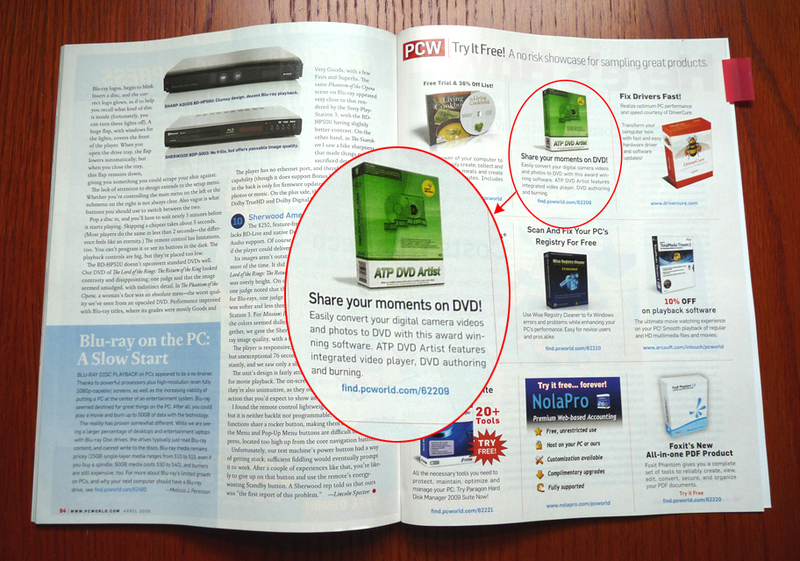 ATP Video products are here to make your viewing and recording experience easy and enjoyable. With a simple, intuitive interface and built-in codecs ATP Player can play video clips in many formats, including MOV, AVI, FLV, DivX, Xvid, and many others. Whether the files are on the hard drive or on a flash memory chip, quickly find them with the familiar Explorer-like file browser, click on a video clip and press the Play button! Sounds easy? This is just the beginning. Try to select multiple photo and video files, or even folders, and press the Create Playlist button. With two key strokes (Enter & spacebar) switch to the full screen mode and start the show. You will be amazed watching a vivid, gap-free video with sound and a colorful slideshow in a single presentation! Use the arrow keys to fast-forward or go back to a previous file, seek to a specific video frame or photo, save your favorite video frame as a JPEG file – all of these powerful features are at your fingertips! And did we mention that ATP Player is totally free? You bet! Download and enjoy using it! Have you ever thought that creating a simple DVD from a set of video clips and photos does not have to be rocket science? That many video clips are only a few seconds long, and it is not necessary to create a separate chapter for each one of them? Also, that it would be nice to be able to preview the videos and move them around within the compilation any way you like? We thought about these things too, and this is why ATP DVD Artist was born. This intuitive and robust software takes a different, innovative approach to DVD creation. Instead of generating a chapter for each video clip added, it merges multiple clips into a chapter for a continuous, gap-free video. Furthermore, at the end it merges all chapters into a single gapless video, so you can watch the entire DVD or jump to a specific chapter. Creating DVD is a snap - all parameters and attributes are adjusted on the main program screen. No need to browse through dozens of dialog boxes looking for a specific parameter! Arranging objects on the DVD menu screen is just a matter of moving them with the mouse, choices of fonts and colors are at your fingertips, and you can even assign your favorite video frame to your DVD menu background! Ready to uncover more exciting features? Download the free 15-day evaluation version and try it. PIMEX MailExpress keeps your customers informed!